Have you ever wondered to yourself “how can I stop losing to pushers?”. They’re one of the most annoying types of opponent you can play against. Luckily for you, I’ve got several proven strategies that are very effective at dismantling pushers. And I’m going to share them with you in this article. These tactics will surely give them trouble and turn things around in your favor. So, by the time you’re done reading about techniques, you’re going to know exactly how to beat a pusher at tennis. Let’s give into the techniques and tactics. One of the best ways to destroy a pusher is to attack 2nd serves and take control of the points early on. 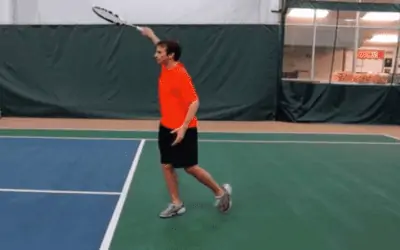 One of the great ways to attack a 2nd serve is to use the buggy whip forehand finish, where the racquet goes way above your head and hooks over the body. 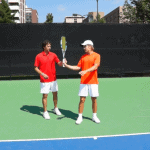 This type of forehand gives you more drive, spin and control. You should aim your return towards the middle of the court and have the ball go deep. 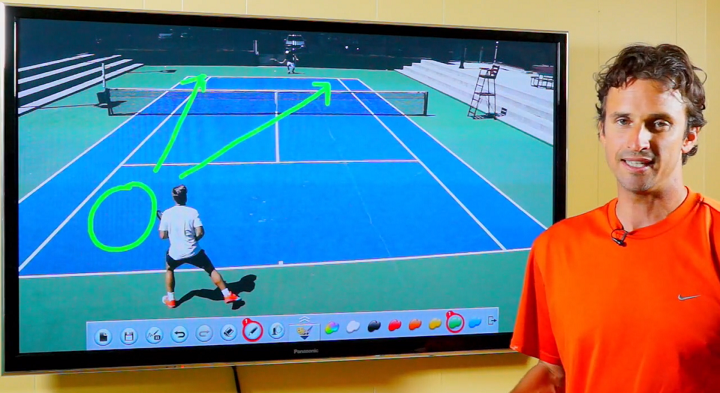 Alternatively, you could go for a short crosscourt shot on the deuce side, or an inside in forehand on the ad side. On the backhand side, take the ball early inside the baseline. The targets when it comes to returning the serve with a backhand from the deuce side should be a down the middle or inside in return. And if you’re on the ad side, you could go for the middle or down the line return. 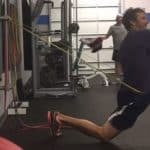 Pushers are used to running short distances and moving in a straight line, planted behind the baseline. Hitting a short angle that goes off of the singles sideline before it reaches the baseline makes the pusher move diagonally. And even if they return the ball, the court remains fully open for you to end the point. Your goal is to be patient in a rally until you get a ball that’s close to the sidelines, as that is the one which you can use for taking initiative and hitting good angled shots. The ball you hit should bounce around the service line and go off towards the singles sideline. 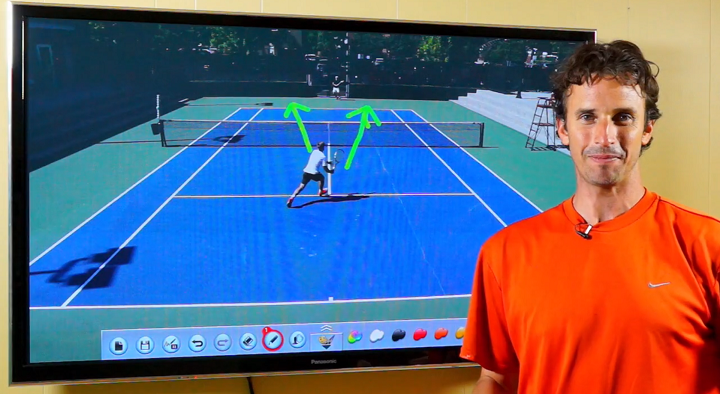 It’s not enough to be able to hit forehand angles, you should be able to do it on the backhand side as well. Serving wide and volleying short is a great strategy against pushers who all like to stand really far back. You can serve down the T, or go out wide, and then approach the net. 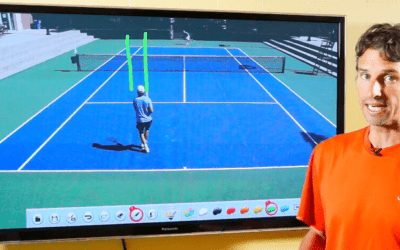 If your short volley lands right at the service line, the pusher won’t be able to get to it as he’s standing several feet behind the baseline. 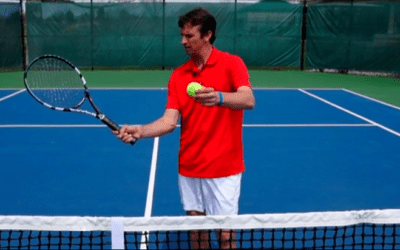 If you can get your volleys to land there and kind of “die” without bouncing too high or sitting up, then not only are you going to win those points, but this will also frustrate the pusher. So, this means you’ll get more free points later on. 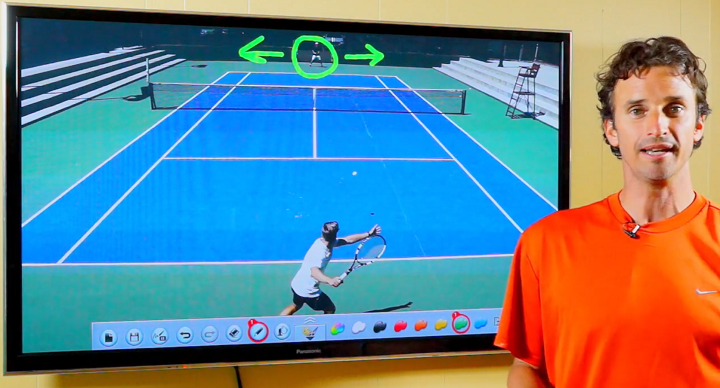 If you have a good serve, this is a great strategy for winning quick points. When you get a ball that you feel comfortable with, surprise the pusher with a drop shot. 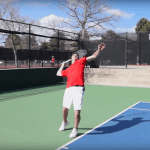 Whenever possible, hit the drop shot when you’re positioned in the middle of the court, as that’s a much safer strategy and you can add more sidespin to the shot. This will make the ball bounce away from the pusher in case he gets a chance to run it down. 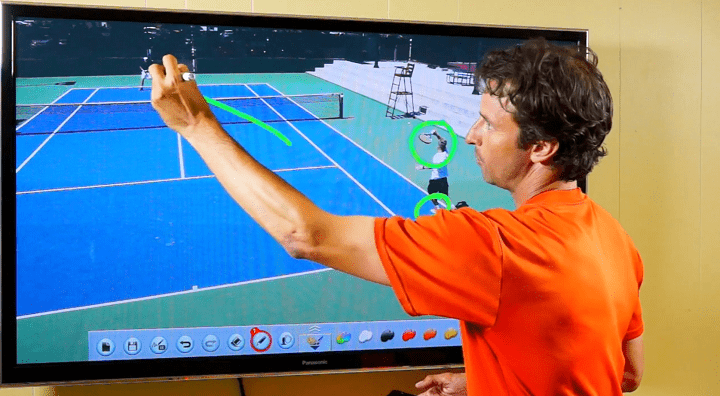 The highest percentage shots will be backhand down the line drop shot and forehand inside out drop shot. Even if a pusher manages to return the drop shot, he’ll be in trouble at the net as pushers have really bad volleys. So, you’ll be able to hit an average passing shot and still win the point. Put these tips into action, and you’ll never have to wonder “how can I stop losing to pushers” ever again. The key when playing a pusher is to remain calm, have a clear strategy in mind and to play it safe. Pushers count on you going for too much and making a mistake. Use the strategies we’ve talked about and you’ll surely win more matches against these pesky players.